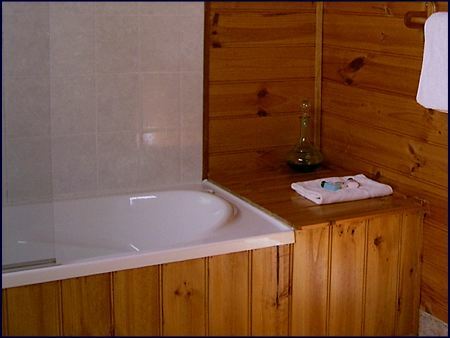 "Woodsmoke Cottage" offers very private and lovely self catering cabin accommodation for couples. 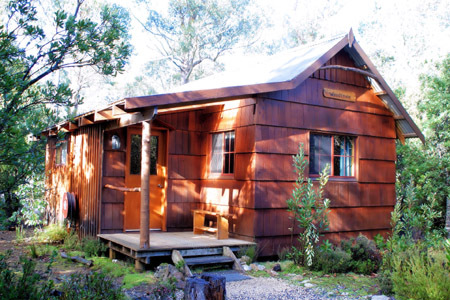 Tucked away in the mountain rainforest at Cradle Mountain Highlanders Cottages. Woodsmoke Cottage offers very private and lovely self catering cabin accommodation for couples. Tucked away in the mountain rainforest at Cradle Mountain Highlanders Cottages, it's like being the only two people in the Tasmanian wilderness at Cradle Mountain in Tasmania Australia. 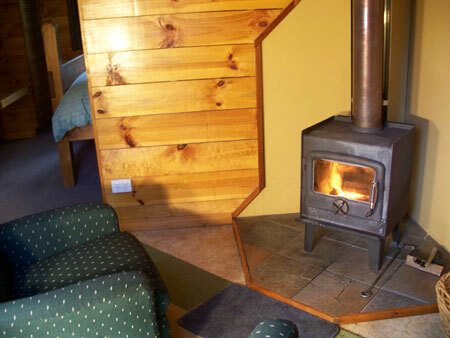 This is cabin accommodation built for two and the log fire in the lounge kitchen area is perfect to warm you as you snuggle up on the sofa or watch the passing parade of furred and feathered friends from the cosy dining nook. The small but well equipped kitchen has a microwave and plug in electric hotplate, refrigerator and all cooking and eating utensils to make your cabin accommodation fully self contained for a cosy romantic interlude or short break holiday for couples. 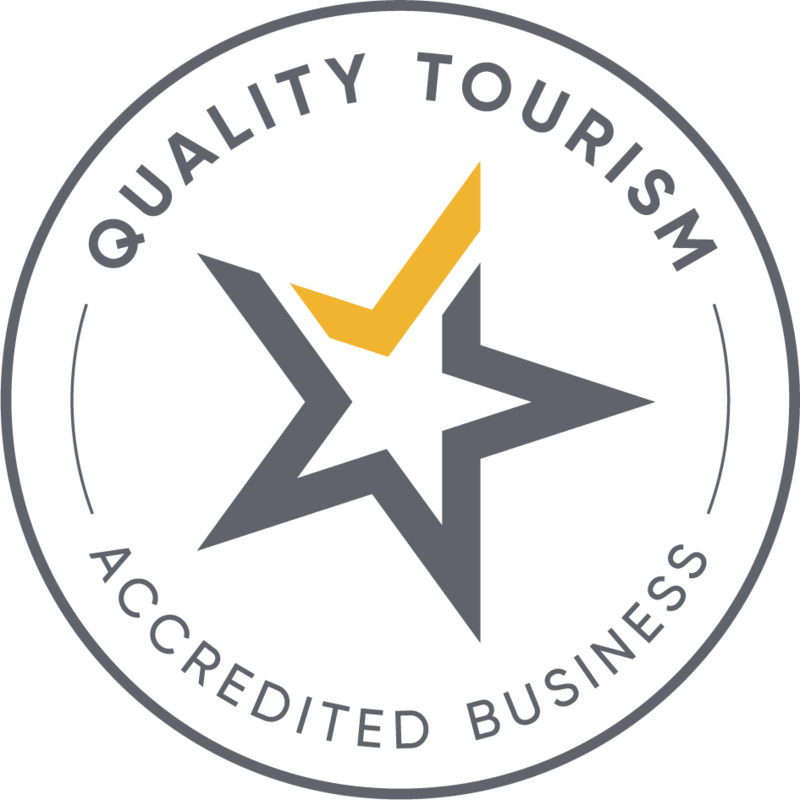 A separate bedroom has a magnificent queen size Tasmanian Oak bed, a TV for those lazy lay-ins and a private ensuite bathroom with shower bath. There is a covered porch for you to share with the local Tasmanian wildlife.